As every hobbyist knows, modelling never stops. And so that you can take your tools, kits and colors with you on your travels or to your friends, we have the right bag for you here. Up to 48 Citadel paint pots in 12 ml size can be stored clearly on the second tray. Each of the 48 compartments is 34 mm long x 34 mm wide x 45 mm deep. 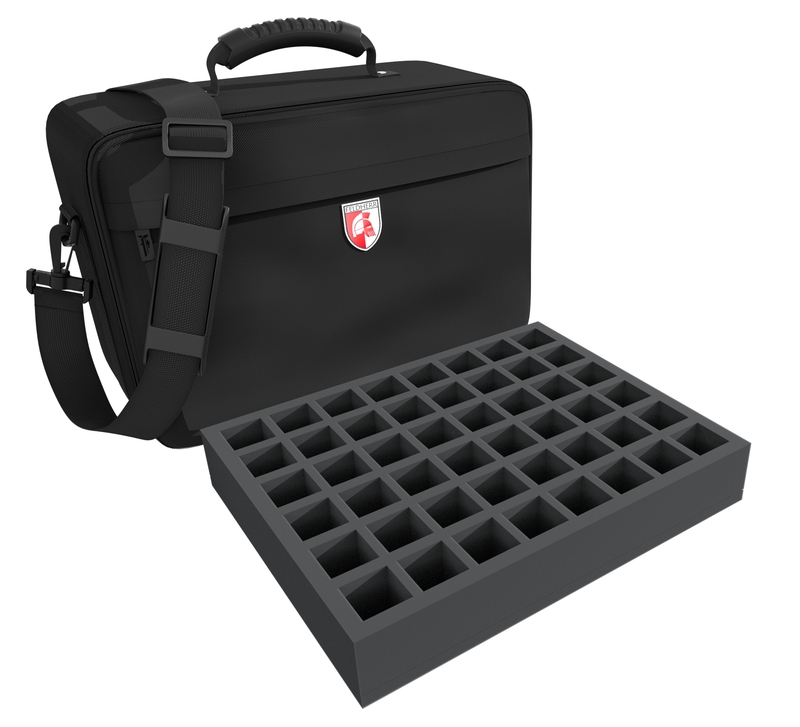 For your plastic kits and individual bits, the set also contains the appropriate tray. 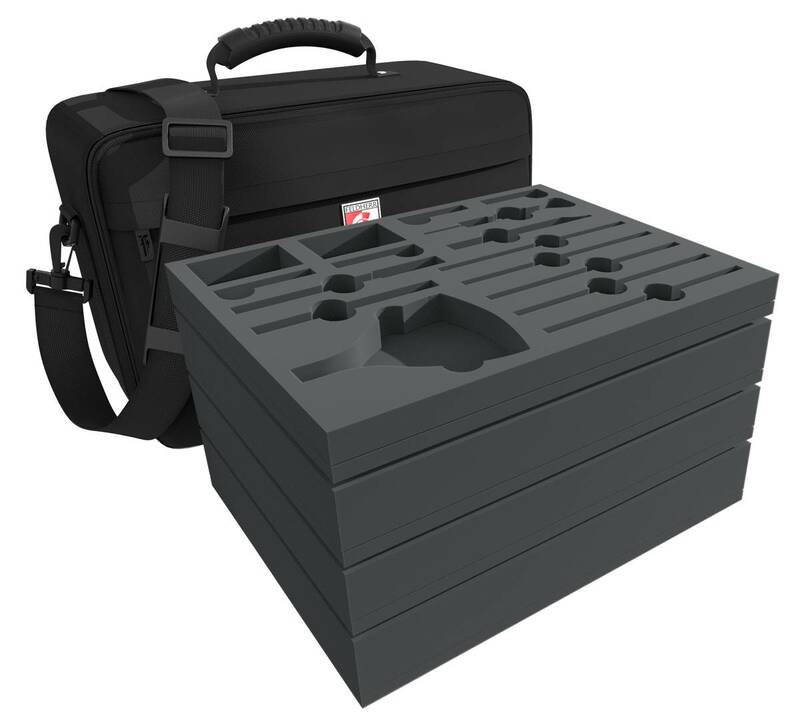 The large compartment is perfect for storing and transporting the kits. 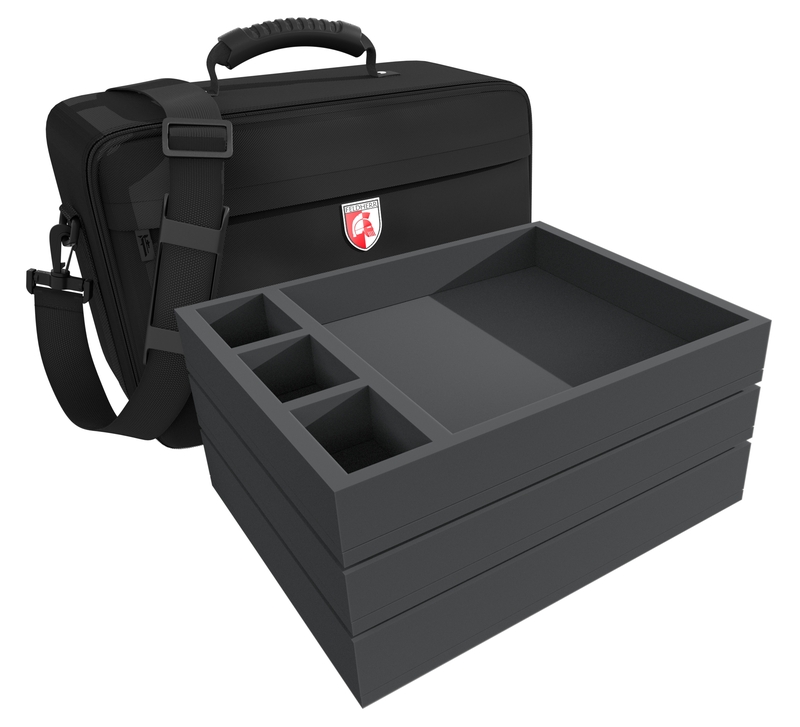 In the smaller compartments next to it you can store individual bits and other small parts. 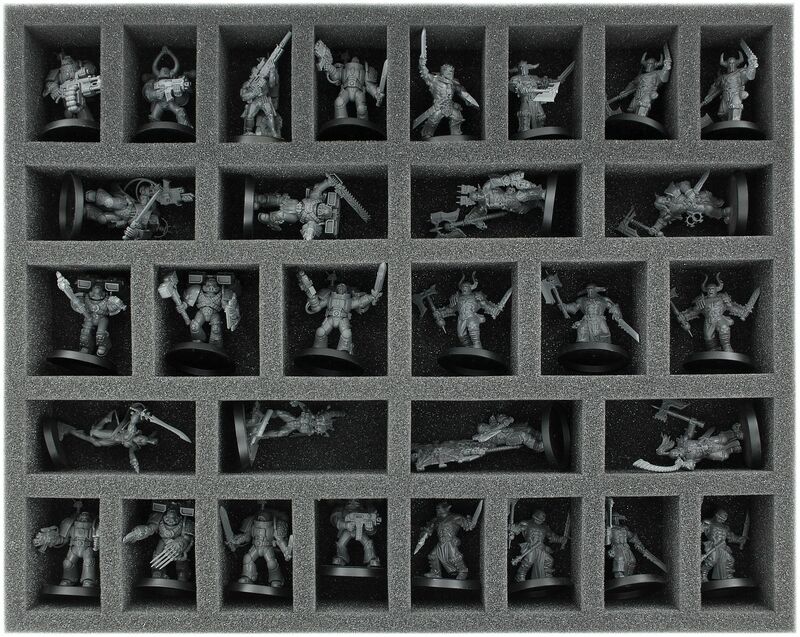 And of course the set also comes with a Full-Size foam insert for up to 30 miniatures. It is suitable for many standard warrior, monster and hero figures of different tabletop and board game systems on 25 or 32 mm base. 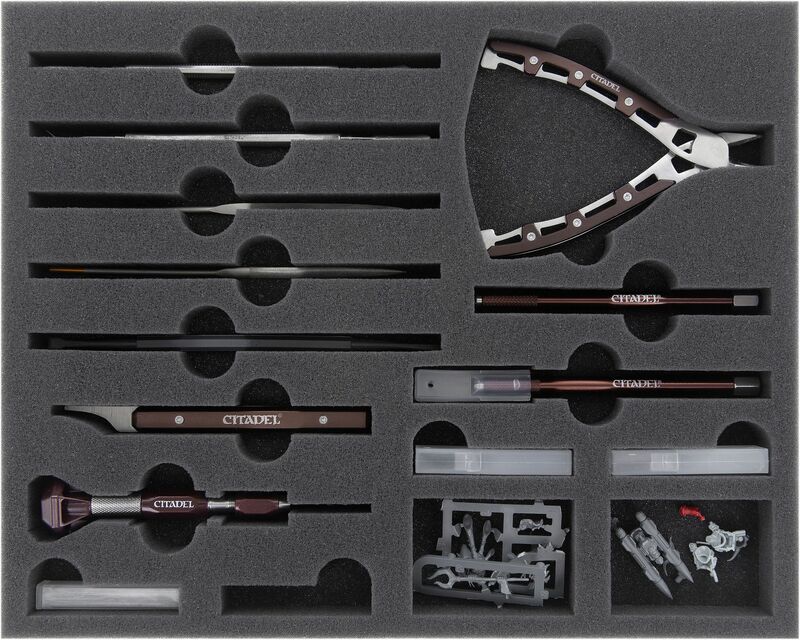 Your assembled models are perfectly accommodated here and the freshly glued parts are best protected from damages. Painted miniatures are also preserved from abrasion and scratches thanks to the soft foam. A matching foam topper completes the set, and your tools, colors, kits and miniatures are thus neatly stowed away and always ready for take off. The comfortable MAXI bag is made of particularly hard-wearing material. In addition, padded side panels and a reinforced bottom ensure that the contents are optimally protected from external influences. 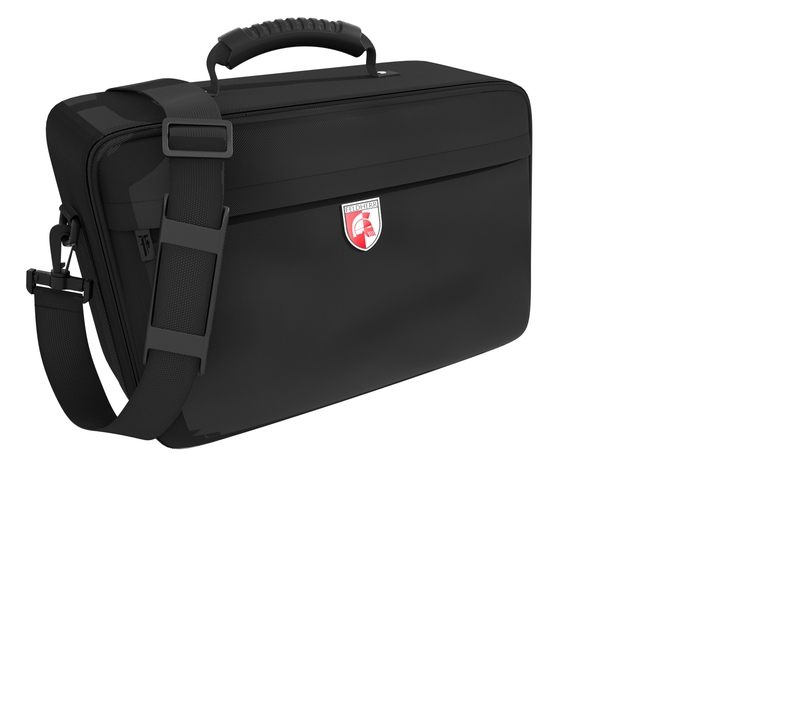 In addition to the large main compartment, the bag also has a smaller pocket with a zipper at the front. 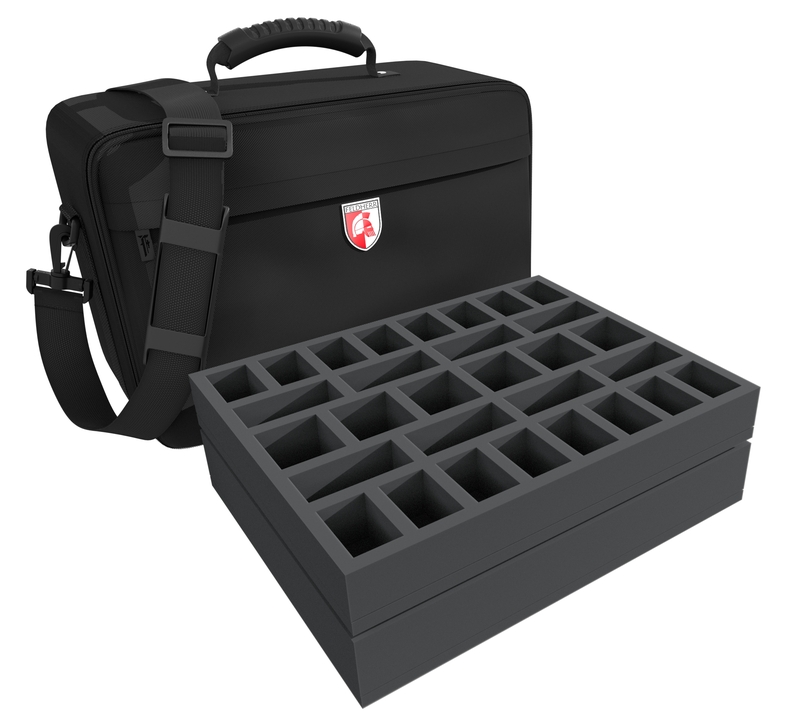 Here you can store your cutting mat (in A4 format) and the assembly guides. On the upper side there is a rubberized, handy carrying handle. If you prefer to have your hands free, you can also use the bag as a comfortable shoulder bag thanks to the wear-resistant, detachable shoulder strap.